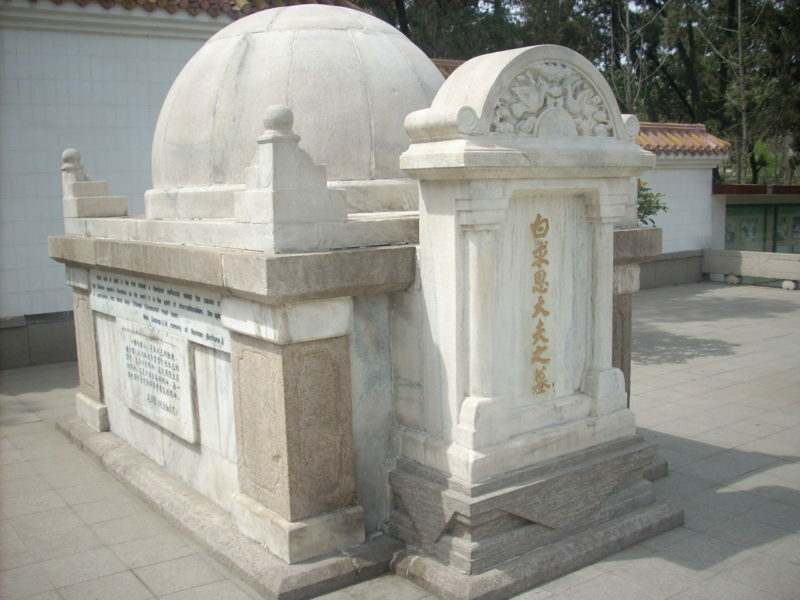 Picture: The mausoleum of Dr. Bethune at Shijiazhuang, China. We, Canadian people, are great people because we uphold some values for the cause of Human Being as a whole. We are good not because in what we claim we believe, but because what we have been doing in the world. Our kindness has been expressed through the actions of some of our fellow Canadians in the international arena. One of these significant Canadians was Dr.Norman Bethune. Bethune was born in 1890 at Gravenhurst Ontario, by the south of Lake Muskoka. He was wound when conducting a battlefield surgical operation and died of blood poisoning in China in 1939. He was buried in Revolutionary Martyrs’ Cemetery of Shijiazhuang, China. Dr. Bethune was a Canadian physician, medical innovator, and a political activist. He invented first mobile blood-transfusion vehicle in 1936 to save human life. He headed Canadian Medical Unite to Spanish War to fight for democracy, and joint Second World War in China to fight against Axis, for the cause of world peace. Canadians commemorate Norman Bethune for his contribution for Human Being as a whole. Bethune was designated as Person of Historical Significance by Canadian government at 1972. His family house at Gravenhurst was designated National Historic Site of Canada in 1996 and named as Bethune Memorial House. In 1998, Bethune was inducted into Canadian Medical Hall of Fame located in London, Ontario. After his name, we have Bethune College at York University, and Dr. Norman Bethune Collegiate Institute in Scarborough, Ontario. Chinese also commemorates Bethune, as he fought side by side with Chinese against Japanese fascism for the world peace. After his name in China, there are Norman Bethune College of Medicine, Bethune Military Medical College, Bethune Specialized Medical College, and Bethune International Peace Hospital. Dr. Norman Bethune showed to Chinese by his action that we Canadian holds values recognized for all human being. And as Mao said in his article, every one of us could be good regardless of how great or small of our ability, as long as we have moral integrity. We are very proud of being Canadian because of Dr. Norman Bethune. 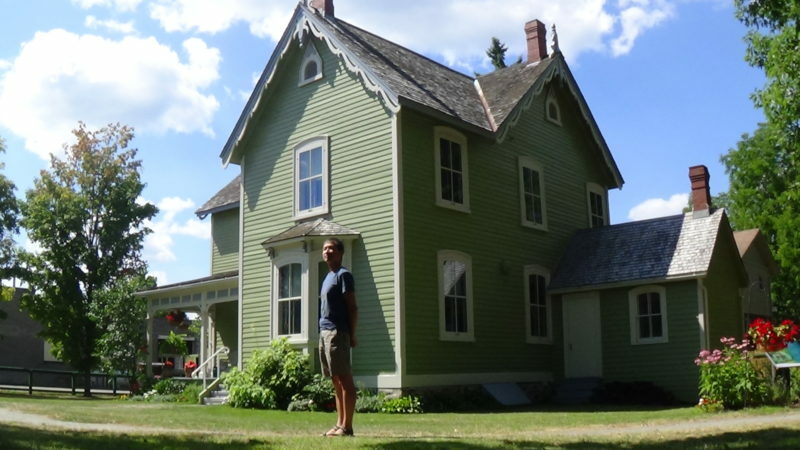 Picture: Author visits the Bethune Memorial House at Gravenhurst Ontario. Why Chinese Couples Does not Exchange Christmas Gifts?